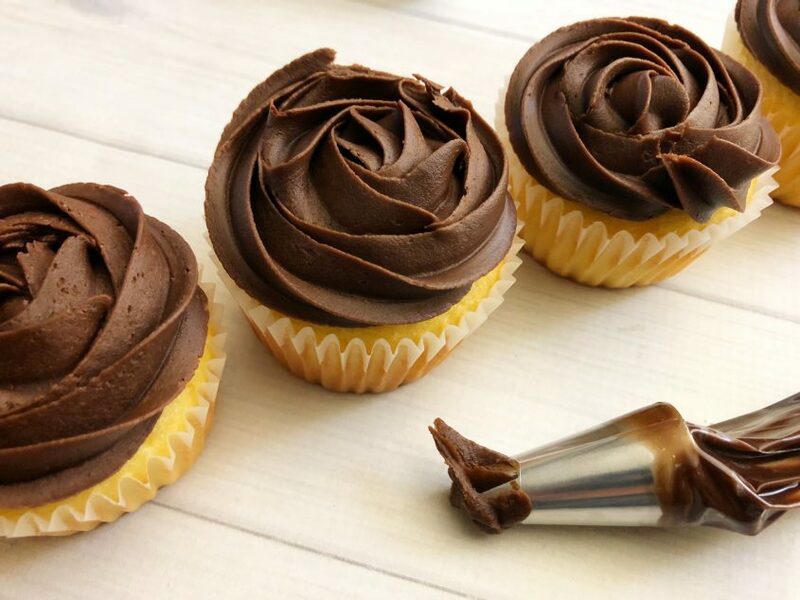 Do your kids love to help you make cupcakes? 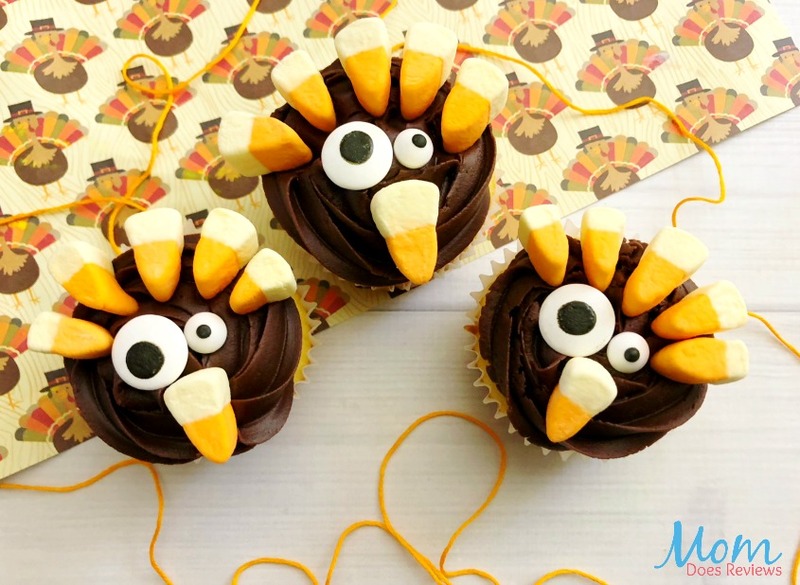 These Turkey Cupcakes are the perfect treat to make with your kids. 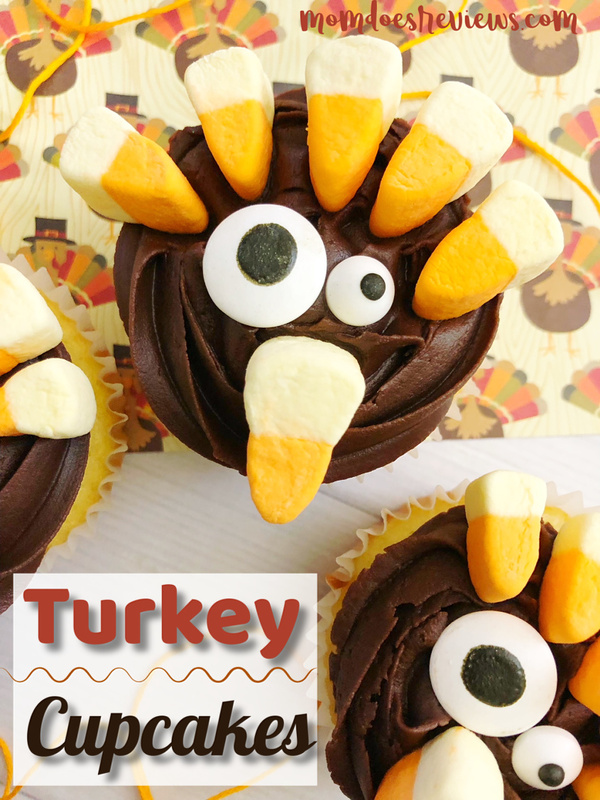 They are easy and fun and the kids can get creative and make their Turkeys look as goofy as they want. 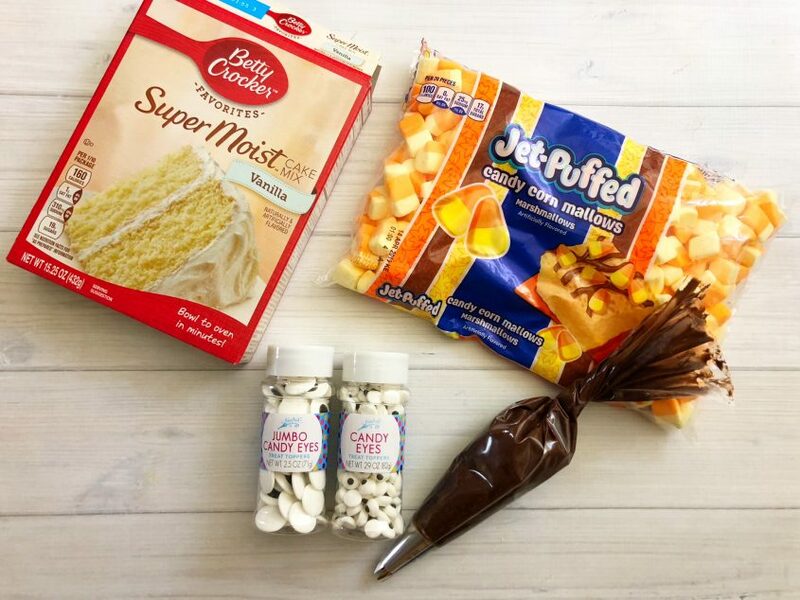 Grab the few ingredients below and have decorating! 4. Let your cupcakes cool, place a large star decorating tip in a decorating bag and fill up with frosting. 5. 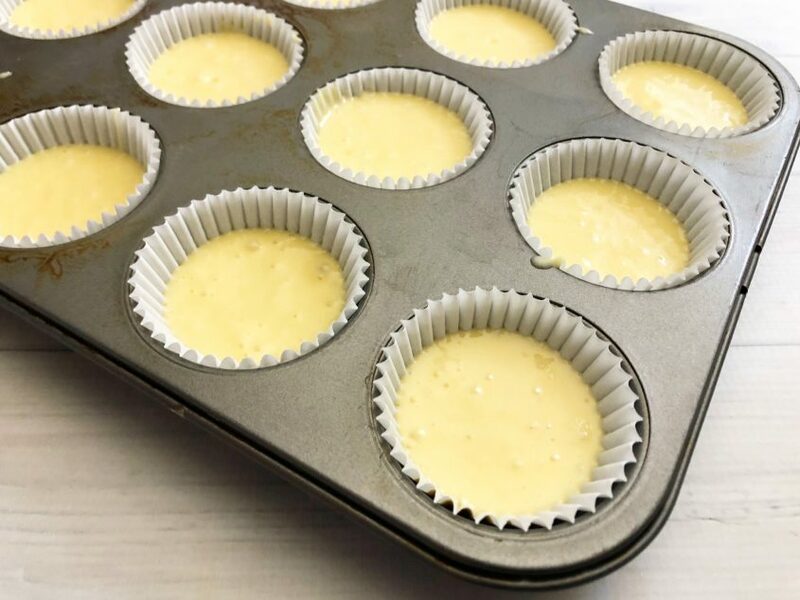 Frost each cupcake starting in the center and working your way to the outside. 6. 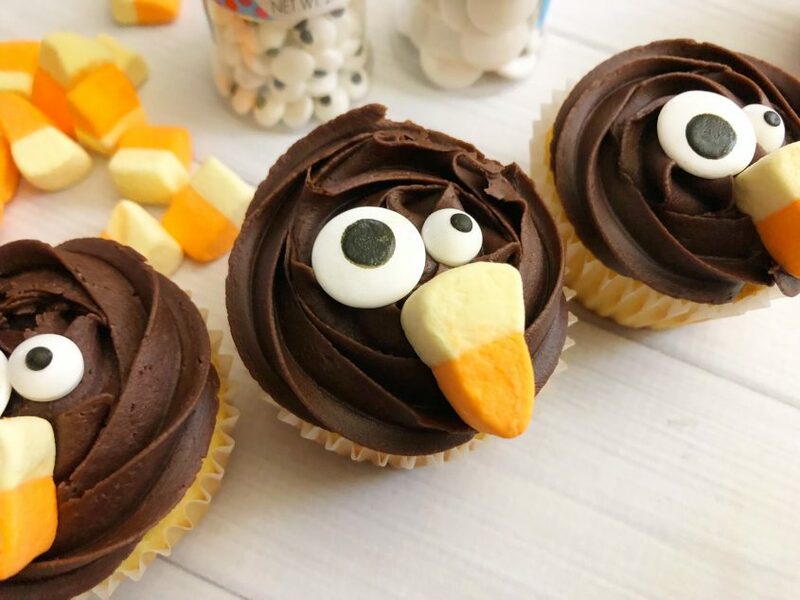 Place a large and small candy eye onto the center of each cupcake and a candy corn marshmallow upside down underneath eyes. 7. Now fan out about 5 candy corn marshmallows above the eyes around the top of the cupcakes. What are you favorite Thanksgiving Desserts? Let us know in the comments below!